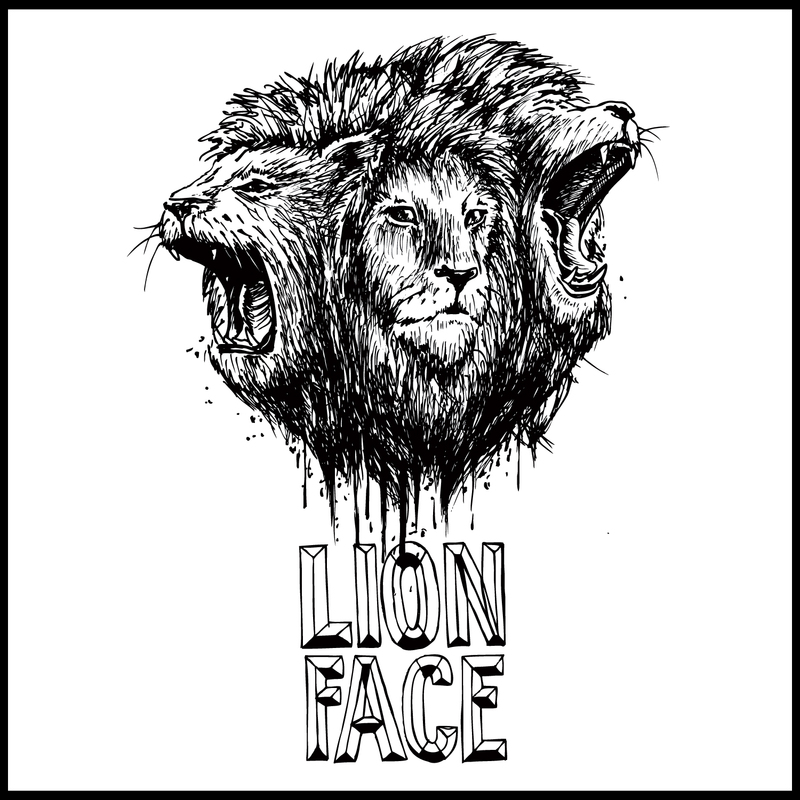 Lionface is the recording name for Bristol’s Kat Marsh who some may recognise as the bass-player and second vocalist for the now defunct London ukulele punks, The King Blues. Following the success of the ‘Run For Cover’ EP back in February, Lionface has just unveiled a new single, “Blue Heart Rate” which is lifted from the upcoming EP entitled ‘Beast’. And wow, “Blue Heart Rate” is indeed an absolute beast. During its first 60 seconds, “Blue Heart Rate” circles around Massive Attack territory both vocally and musically before, leaping out from nowhere, a distorted, low-end-heavy bass and punk-vocal snarl combine delivering the line “blue heart rate gives me away”, promptly punching the listener smack in the face. From here the song then explodes with a Muse-like enormity and into what is quite literally the biggest sounding chorus you’ll hear all year. In fact, its so big it’s almost theatrical. Yet for all its volume, power and energy the chorus of “Blue Heart Rate” also contains sugary pop hooks. Impeccably produced by Peter Miles [The King Blues, Dry The River, We Are The Ocean, The Skints], “Blue Heart Rate” features a thundering production of industrial drums, rock guitars, orchestral strings and fat-bass wobbles, “Blue Heart Rate” is all capped off stunningly with Kat’s incredible and powerful vocals. All in all, we can’t think of a more dynamic track this year. The EP ‘Beast’ will be released on handcrafted limited edition CD (individually numbered out of 200) and digital download on 4 November, 2013. Pre-order now.